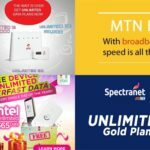 Although there is hardly a truly unlimited data plan in Nigeria, ntel offers interesting data plans and plans that provide unlimited data as long as your plan is active. Ntel data plans could be highly desirable if you work and/or live in cities like Lagos, Abuja and Port Harcourt. 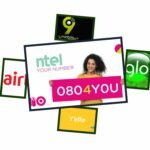 Ntel offers three sets of data plans, namely: unlimited data plan, data only, and voice & data combo. Unlimited U-Daily ntel data plan offers high-speed internet access and has no data cap. Furthermore, the data plan is valid for 2 days and costs N1500. Furthermore, Unlimited U-Weekly does not have any data cap. It is valid for 7 days and costs N3,750. Also, Unlimited Family offers access to super-fast internet. It is valid for 30 days and costs N17,500. This ntel data plan has no data cap. Ntel has four data-only plans, namely, classic, max, XL, and XL unlimited data only plans. Ntel classic data only plan is a monthly data plan that offers 4GB of data. It is valid for 30 days and costs N2,500. The max data plan is also a monthly data plan priced at 7,500. It offers 16GB of data and is valid for 30 days. Ntel XL data only data plan offers a whopping 80GB of data and costs N25,000. This data plan is valid for 90 days (3 months). As the name implies, ntel XL unlimited data plan is an unlimited data plan, valid for 90 days (3 months). This data plan costs N60,000. Sometimes, you definitely need a data plan but you also want to make some voice calls. Interestingly, there are a few ntel data plans suitable for this. Ntel allows you to purchase voice and data combo as low as N1000 for 1GB data, 100 minutes on-net, 25 minutes off-net and 10 SMS. This plan is valid for 7 days. The plans discussed above in the ntel data only plans also apply for the voice and data combo. Moreover, they offer the same data value as their voice and data-only equivalence alongside with on-net minutes, off-net minutes and SMS, thus increasing the cost of the plan. For instance, ntel classic data plan for voice and data combo offers the same 4GB data but also offers 400 on-net minutes, 100 off-net minutes, and 25 SMS. It is valid for 30 days and costs N4,000. Furthermore, the ntel max data plan for voice and data combo also offers 16GB data but offers 500 on-net minutes, 200 off-net minutes, 50 SMS and is valid for 30 days. This plan costs N10,000. The XL and XL unlimited for voice and data combo respectively cost N30,000 and N75,000. However, both offer similar data plan as their corresponding data only plans. 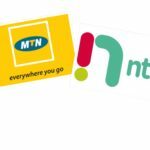 You can find the most suitable ntel data plan for you to surf endlessly, especially if you work/live in areas with ntel data coverage.